According to the latest Business Intelligence Report on shopping cart abandonment (Nov. 2016), 78% of consumers who start an online purchase process abandon it, leaving $4.6 trillion worth of merchandise left unpurchased in online shopping carts. Fillr has developed an ‘autofill as a service’ solution that seamlessly integrates into apps, enabling customers to transact faster, and boosting conversions. By contrast, Fillr recently announced that its mobile Autofill as a Service platform now reaches 100 million monthly active users worldwide. The company counts leading browsers and device manufacturers, including Microsoft Edge, Dolphin, Panasonic, and Karbonn Mobiles, among its customers and partners. Essentially, the autofill service works on all web forms and can be used on thousands of mobile commerce sites, including AliExpress, Amazon, Etsy, Shopify, and Walmart. The technology also uses machine learning and cloud infrastructure to solve the very complex problem of accurately autofilling web forms. While the ideal checkout flow comprises 12 to 14 form elements, the average checkout flow in the U.S. contains 23.48 form elements. Built on a powerful mapping engine and algorithms developed by analyzing hundreds of thousands of forms, Fillr delivers a highly intelligent autofill as a service, utilizing proprietary Advanced Textual Heuristics™ for highly personalized, accurate and fully automated form-filling. Industry-leading 95%+ accuracy and 500%+ increase in transaction speed. The FAaaS Platform is industry- and payment platform-agnostic, and is easily integrated into any app that uses WebView, browser, operating system and device, while customer data remains protected using 256-bit AES encryption. One-click, easy, fast and secure ordering is our expectation level thanks to tech behemoths such as Amazon. 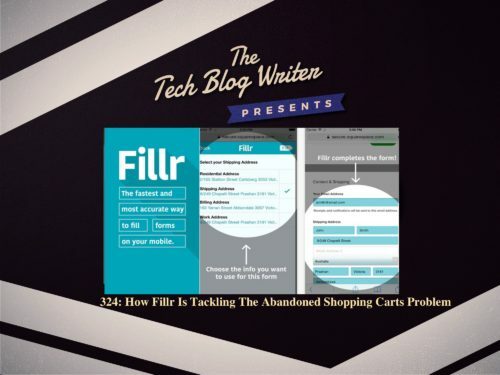 Fillr is attempting to level the playing field and give smaller businesses a way of competing against the likes of Amazon by seamlessly integrating its autofill as a service into your app. The rise of IoT, messaging and voice are all removing the traditional keyboard. But once again Fillr steps up to save you from having to enter or re-enter your details on forms. Having heard how the platform has partnered with more than 20 browsers and OEMs worldwide, I invited Karl Mattson from Fillr onto my tech podcast to find out more.